Community Activist category is for an individual who is dedicated to positive outcomes for children through volunteerism and/or philanthropy. Community Professional category is for an individual who is dedicated to positive outcomes for children through exemplifying excellence in their profession. Four finalists per category will be selected from the nominees based on our Nomination Criteria. The Center will recognize all nominees and publicly announce Award Finalists prior to the event at our Phyllis Richard’s Austin Icon for Children Award Nominee Recognition Event on May 9, 2019. 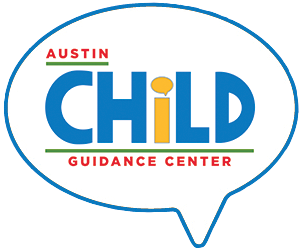 The Austin Child Guidance Center’s Board will choose the award winners and they will be revealed on stage at the Austin Originals Benefit Concert. All Finalists will receive two complimentary tickets to attend. During the event program, each finalist and award winner will be recognized for his or her dedication to improving future outcomes for children. For more information please visit our Austin Originals page. Scope and impact of work •	How has the nominee improved the quality of life for children with their volunteer and philanthropic involvement? •	What board, chair or leadership positions has the nominee held? •	How has the nominee improved the quality of life for children in their professional career? •	Has the nominee been a leader in their field of (mental health, child development, health, education and/or advocacy)? Length of service •	How long has the nominee been engaged in volunteerism and philanthropy? •	How long has the nominee been working on this career path to help improve children’s quality of life? Event participation •	Will the nominee be able to attend the 8th Annual Austin Originals Benefit Concert on Aug. 24, 2019? •	How has the nominee engaged their audience in regards to their nomination and event participation? 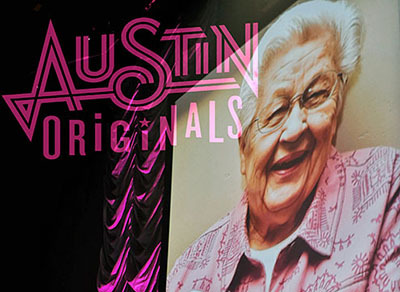 •	Will the nominee be able to attend the 8th Annual Austin Originals Benefit Concert on Aug. 24, 2019? •	How has the nominee engaged their audience in regards to their nomination and event participation? Imagination & Innovation •	Has the nominee created or improved events, programs, or organizations to improve children’s quality of life? •	Has the nominee created or improved ideas, systems, or processes to improve children’s quality of life? Degree of difficulty and obstacles overcome •	Has the nominee overcome obstacles and/or difficult circumstances in reaching their accomplishments? •	Has the nominee overcome obstacles and/or difficult circumstances in reaching their accomplishments? Nominations are due Wednesday, April 10, 2019. Please fill out the Phyllis Richards Austin Icon for Children Award - Nomination Form. For additional questions send an email to our Development Team.